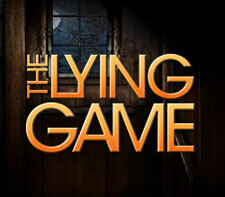 The Lying Game: Mystery and Suspense on Television. Adapted from the young adult thriller of the same title by Sara Shepard, The Lying Game stars Alexandra Chando as Emma, a foster kid who learns she has an identical twin sister, Sutton (also played by Chandro). After their initial meeting, Sutton talks Emma into stepping into her life for a few days while she pursues a lead on the mysterious identity of their birth mother. After Sutton inexplicably fails to return to the girls' designated meeting place, Emma must decide whether to come clean about her identity and risk her own safety in the hope of uncovering her twin sister's whereabouts, along with the truth about why they were separated in the first place. The series premiered on ABC Family during the Summer of 2011.